Myron B. “Mike” Maddex went to be with the Lord on November 13 at the age of 94. Maddex became a Christian in December 1951 – six years after he was discharged from the Aeronautical Division of the U.S. Army Signal Corps (an early predecessor of the U.S. Air Force), where he served during World War II in New Guinea and the Philippines installing and maintaining aircraft radios. 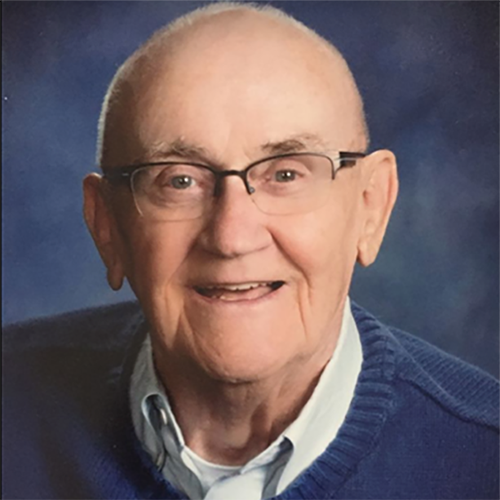 Wanting to be in the ministry, he left his post-Army career in radio and TV repair to join the radio staff of the Moody Bible Institute of Chicago in January 1954. In March 1965, Maddex became general manager of Christian radio station WEEC in Springfield, Ohio. He was named president in 1967, holding both offices until retirement the end of December 1998, culminating a 45-year history of ministry in Christian Radio. “I can say without reservation that any success that WEEC has today is thanks to the great foundation laid by Mike Maddex in those early days,” said Tracy Figley, who succeeded Maddex as general manager, and in 2011 became the CEO of Strong Tower Christian Media, the parent organization of WEEC. Figley, who grew up listening to WEEC during the time when Maddex was at the helm, was hired by Maddex in 1988 as an announcer. In addition to his roles at WEEC, Maddex served as national secretary of the Executive Committee of National Religious Broadcasters for three years in the early 1980s; served on the NRB Board of Directors for 25 years; and was the first president of NRB’s Midwest Chapter. He also served for three years as president of the Ohio Association of Evangelicals. Maddex was preceded in death by his parents, Walter O. and Eva Mae (Brown) Maddex; sister, Miriam Powell; daughter, Martha Burton; and wife of more than 65 years, Jean. He is survived by his sons, Jim (Joyce) and John (Tonya); and many grandchildren, great-grandchildren, nieces and nephews. A memorial service is planned at the Southgate Baptist Church – where Maddex was a member – on Sunday, November 25, with visitation at 1:30 p.m. and the service at 3:00 p.m. The family requests that memorial contributions be sent to WEEC, 1205 Whitefield Circle, Xenia, OH 45385.